One of the most sought after and quickly deployable, WordPress is a favourite CM with many webmasters. It offers simplicity blended with versatility and is powerful enough to build a scalable business. WordPress is an open-source CMS customizable by themes and plugins. WordPress and many themes and plugins are free, however, if you want, you can buy premium plugins or themes to use. You can get it up and going in a matter of minutes and the only dependence will be the speed of you hosting server and your technical prowess WordPress can be used to create websites for any business and the limit is your imagination. WordPress can be downloaded free from WordPress.org, or you can choose to install it using the single-click install on your web server (almost all standard web servers offer this). WordPress is a favourite with most webmasters who are looking forward to monetize their domains quickly and effectively. However creating the right website is very important and that could a little. Specialized webhosting is always recommended since the wordpress only hosting companies know what they are doing and make sure that you are not parking your Ferrari on the roadside when it belongs in a locked garage. Before we go to the next part, please remember that we are webmasters like you and are not biased towards any particular hosting company. However, choosing the right hosting solution is the need of the day. This is an unbiased idea of what the market scenario is today. GIT Integration: only with Professional plans. Considered the best in wordpress hosting, synthesis offers the best optimization advice in a step by step mode. Offered by professionals who created StudioPress themes and Copyblogger Media, synthesis also offers guidance eon content development that can take your website way up in search engine rankings faster. The wp-admin dashboard offered by synthesis also has a keyword research tool that can help a great deal while creating posts and pages. Synthesis also offers a “Site Score technology” that can help you promote your content with relevant blog contacts. It $also integrates an uptime tool at no extra cost. Synthesis wordpress hosting works best with WooTemes and Genesis frameworks and while setting up a third party theme, you may need to touch base with them for version support. Rewrite customization can be challenge with synthesis since they don’t work with the HTACCESS files. Buddypress and multisite installations need approval. All plugins are permitted but some plugins that consume more resources may be subject to removal. Also plugins that are already on the server will need removal. Ex: Firewall 2, Broken Link Checker etc. All in all, synthesis is a good to go wordpress hosting with state-of-the-art data centres at Amsterdam and Virginia. WpEngine takes pride in security and speed while offering wordpress only hosting plans. With extensive marketing and one-to-one interactions with clients across the USA, WPEngine has created a niche market for itself in the managed wordpress hosting industry. 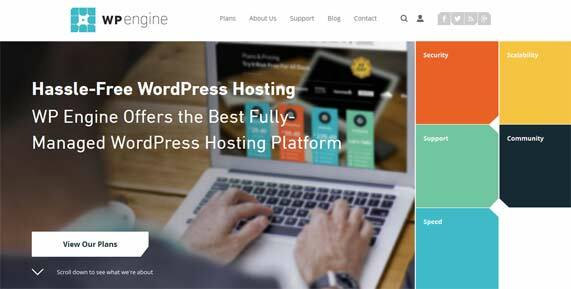 Many popular websites like MaxCDN, Buffer, FourSquare and HTC swear by WPEngine’s quality wordpress hosting. Supported by Automatic [also offers support for wordpress itself] and data centres across the globe, WPEngine is one of the better options when you consider wordpress hosting. Many plugins are not allowed on WPEngine servers that can be a disadvantage. Check technical aspects before opting for WPEngine wordpress hosting. 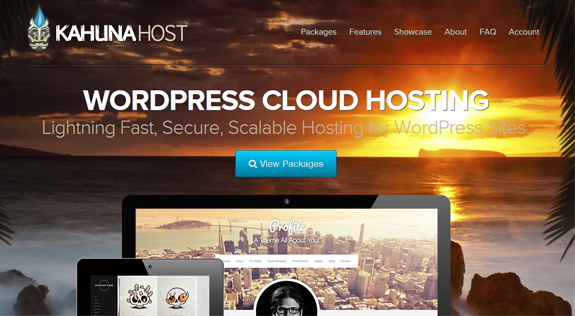 Pagely is a friendly neighbourhood wordpress webhosting service that comes with its own CDN. Almost, all plugins are allowed on Pagely servers with an entry barrier of “professional” plans for their multi-site installation options. Pagely consider security paramount and has a unique protective architecture, known as PRESSARMOR™. To add, Pagely donates 1% of its profits to charity. Only Enterprise Plan user can have a direct database access which means, Pagely works out very expensive to most wordpress webmasters. Using a shopping cart on the personal plan can be limited since you will have to redirect to a payment processor and cannot directly collect payments. This can be a hindrance to most professional installations. Updating WordPress core and plugins happen as they come in, running the risk of rendering the site broken sometimes due to version incompatibilities. Multisite option is allowed only on the business pro plans and need approval. Statistics or backup plugins are not permitted. Help is at hand but not very useful to search. Flywheel, as its USP offers wordpress hosting to agencies and designers. The features it offers are thus customized for the objective like offering multi-user collaboration (without the use of SFTP for each user) projects and designs and a pushing feature once the design or website is finalized. The demo accounts meant for clients are free and billing comes into picture once the client account is setup. Flywheel locks down the wp-config file, changes would need contacting. Many plugins are not allowed. No HTACCESS, so complex redirects would need contacting. Free demo sites for 14 days only, needs fast development and client interaction. Another 14 days allowed on request. Multisite plans are allowed only for plans billing at $40 and over. Backups: yes, 2 nights for files and 14 days for database. Similar to Flywheel, Pressable also allows collaborator accounts for development and deployment. The standout feature of Pressable is the price, where it offers $5 a site, if five or more sites are hosted. This probably is the best price offered in the managed wordpress hosting industry resulting in more profit for the developers. Pressable also offers a free CDN service and is probably the only managed wordpress hosting company to do so. It also offers performance optimization (Beta) for sites hosted in collaboration with Google PageSpeed. Uses nginx server in place of apache, so HTACCESS changes won’t count for much. Many plugins disallowed, especially backup and caching. False marketing claims on website being the first CPP (Content Publishing platform). Many grammar and design issues on the website. A Canadian start-up, WPCloud is the only managed wordpress hosting company accepting bitcoin as a payment option. WPCloud claims to be compatible with Canadian privacy regulations and corporate governance policies. WPCloud comes with the multisite option for Enterprise and Business level plans. Buddypress is also allowed on Starter and above plans. The starter plan could be a good place to begin for new webmasters and comes with lots of features at only $24 a month. No control panel to speak of. There is no opting out of automated plugin updates. This increase the risk of site-breaking. There is no control panel of any kind with this host, which may be hard if you wanted more than just SFTP and PHPMyAdmin access. The basic package does not allow PHP/ MyAdmin access or editing of HTACCESS. At Kahuna Host, all plans come with multi-site options. Also, Kahuna offers over 150 other packages like Magento etc, making it easier for developers involved in integration. The package comes with a free domain for one year and a fully accessible control panel and email hosting. Although Kahuna Host costs lesser, seems that it is not a fully managed wordpress hosting company. The claims could just be a gimmick. The data centers of Kahuna re managed by another entity and thus reliability is an issue. No instant access to backups. For a copy of the site, you will need to raise a request. No temporary IP provided, so staging area needs to be setup manually. Run by Chris Peipho, Lighting Base is a one man show that offers Multisite installation on all plans. A free CDN configuration is offered and the best news is that there are no disallowed plugins. Access to the site is through the normal cPanel. You can also choose a data center option from Frankfurt or Chicago. Domain registration and email hosting are available, with email hosting separated from web hosting servers. E-mail hosting limited to five e-mail addresses only. More available at extra cost. Automated wordpress core and plugin updates [warned]. Compared to other hosts offering unlimited plans, they offer more wordpress optimization and a lot of freebies which could add to the cost when you choose other hosting providers. You will need to look at the host who is trying to lock you in, always ensure that the no-contract clause that is quite common.